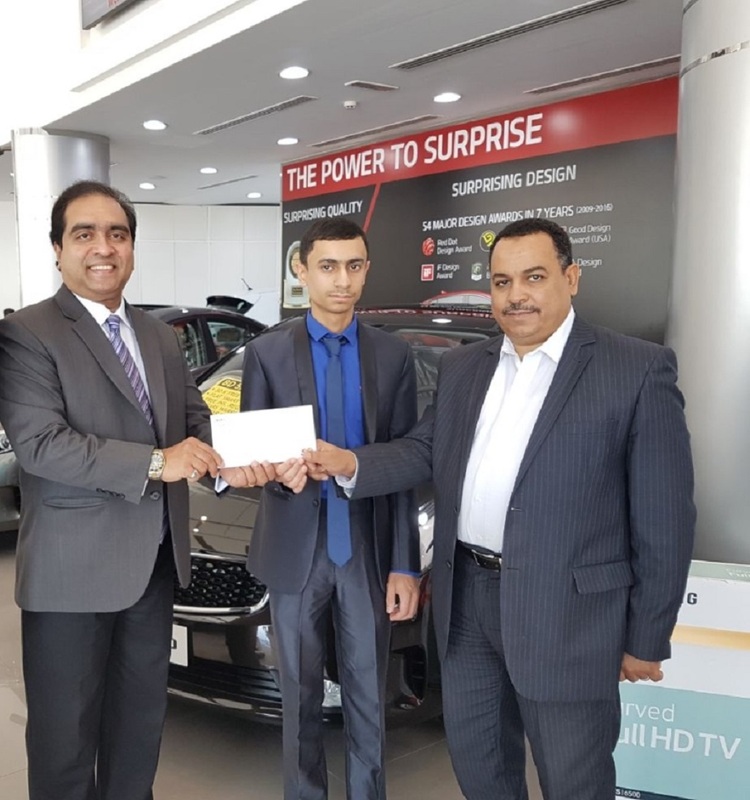 Bin Hindi Motors, the sole distributors of KIA Motors in Bahrain announced KIA customer loyalty promotions during the period of 1st April to 10th May 2017 at KIA showroom in Khamis, Ma’meer and Arad. The promotion’s lucky winner of the participant was Mr. Isa Ali, with a colleague from his choice won and enjoyed a fully paid round trip from Bahrain to Russia and back for 3 nights, 4 days to attend opening match of Confederation Football Cup Russia 2017. From the left; Mr. John Joseph, KIA Brand Manager, Mr. Ali Isa (The Winner) and Mr. Mo’men Shawqi Ahmed, A. A. Bin Hindi Group PR & Media Manager.